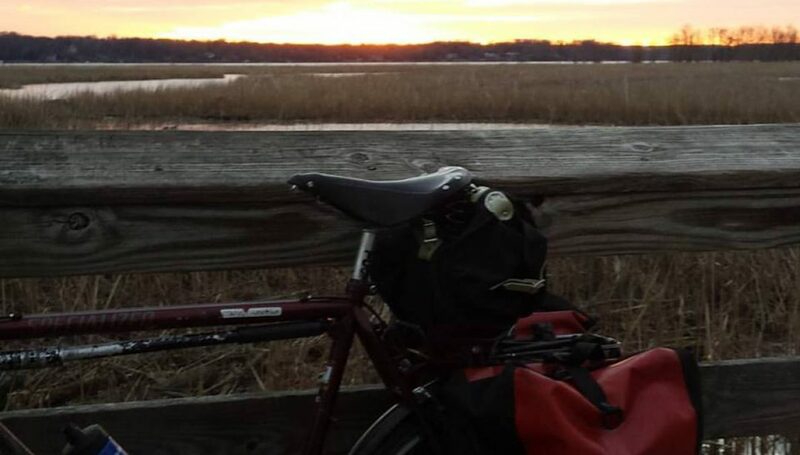 Posted on May 24, 2018 by rootchopperPosted in Any Road to the Pacific NorthwestTagged Any Road Tour, Any Toad to the PNW, bike tour, C&O Canal, Cumberland, Frostburg, GAP Trail, Hancock, specialized sequoia, The Mule, Veterans for Peace, Western Maryland Rail Trail. 12 Hours! You are a ROAD WARRIOR! It’s no mean feat to climb from the trail to Frostburg. How did you do it at the end of the day? TWOTIREDTALES is right – you have stamina, and stubbornness! (the good variety.) If you can tell me a spot you’ll come to with a mailing address, I’ll get a FiberFix shipped out to you. Just wanted to say hello and that I enjoy your blog. I look forward to following your adventure. Safe travels!